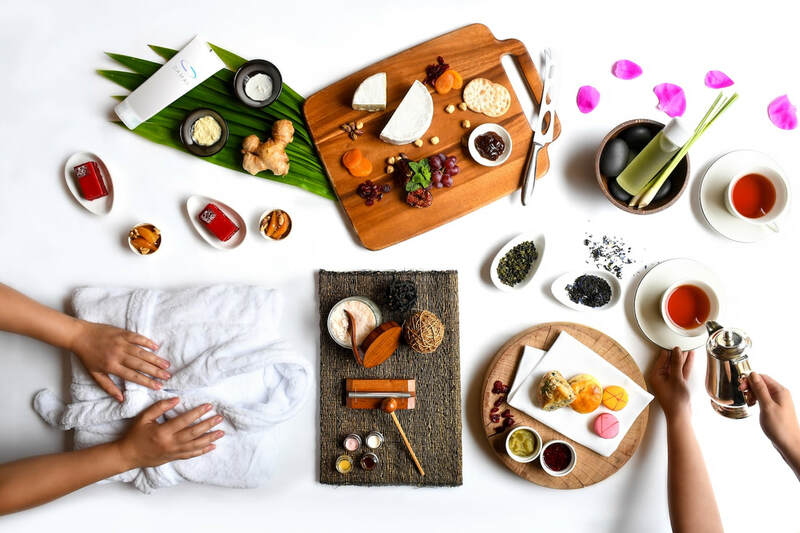 Enjoy a spa day with afternoon tea, and treat you and your loved one to a day of relaxation with Damai’s Spa Afternoon Tea experience for two. ​Start off with a consultation and sensory test with your personal therapist to determine your body’s needs, and pamper your bodies for 75 minutes with Damai’s signature personalised massage in your very own couple treatment room*. Complete your spa experience with a buffet spread of delectable high tea items at 10 Scotts against views of the cascading waterfall. ​Email us at damai.sg@hyatt.com or contact us at 6416 7156 for further assistance. *Kindly note that the couple treatment room upgrade is subject to availability. Damai's Spa Afternoon Tea experience is available daily. Advance reservations are required. Club at the Hyatt discounts do not apply.